If you are considering a development project of any kind, be it a refurbishment or remodelling of an existing building, a conversion or adaptation, or developing on a plot of land, you are likely to be considering making a sizeable investment. As such, before embarking on any significant capital expenditure, it may be beneficial to ensure that the project is viable by way of a Feasibility Study. A Feasibility Study will provide a complete picture as to the viability of a project from several perspectives, including practical, financial and regulatory. From a commercial perspective, this initial feasibility assessment can be essential to ensure that a client knows from the very start whether or not a project is worth embarking on, whether it is viable, what the likely cost and timescales will be and what obstacles may be faced during the project. Without proper planning and assessment, even small-scale residential projects have the propensity to supersede both budget and timescale, and the potential implications of an overrun or overspend on commercial projects could be huge. As Chartered Surveyors, Lea Hough will be able to identify any potential areas of concern relating to the building’s construction or fabric or services. With our technical knowledge of existing buildings, we are able to guide clients and ensure that they embark on a project with their eyes open! Additionally, thanks to our extensive experience of specifying and project managing building and construction works of all kinds, we are able to advise clients from an informed perspective as to any other issues that they are likely to encounter, from the outset. Establish the client’s requirements in relation to the project brief and their budget. Undertake a survey/assessment of existing building/site. Identify any significant concerns, showstoppers or due diligence issues. The Feasibility Study will not only conclude on the viability of a project using the information provided by the client, but will also furnish the client with valuable information on any potential areas of concern or that require further investigation, such as Planning Permission, or Building Regulations issues or potential legal hurdles. If required, we can also assess the current value of the property along with a projected valuation of the completed project, as we are Chartered Valuation Surveyors in-house as well as Chartered Building Surveyors. Addition of an extra storey to an existing office building at Euxton. 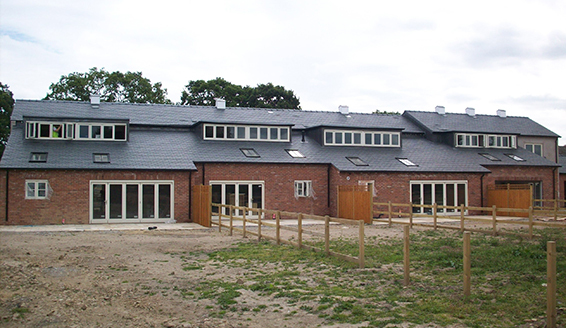 Conversion of farm barns into five residential dwellings and addition of an extra floor in Lancashire. Conversion of a doctors’ surgery to a residential dwelling in Preston. Conversion of a large retail town centre building to residential apartments in Blackburn. Conversion of a derelict farm barn to a high-class residential property in Great Harwood. Conversion of a pub to apartments in Darwen. Redevelopment of brownfield land for a mixed-use retail/industrial development in Chorley. Redevelopment of a dis-used site in Accrington to new-build industrial units. Following a feasibility study, should the client decide to proceed with the project, our team can go on to provide further professional advice as per the client’s requirements. Our services include preparing Architectural drawings, obtaining Planning Permission, developing a Specification/ Schedule of Work, obtaining competitive tender prices from suitable local and specialist contractors and thereafter project managing the works from start to finish. To speak to a member of the team for further information, or to instruct one of our Chartered Surveyors to conduct a feasibility study on your behalf, please get in touch.